Maybe it’s a bike that was outgrown, maybe it was owned by someone who didn’t have the inclination to put the chain back on, maybe it needed a part. But thanks to the Father O’Neill Council of the Knights of Columbus in Lutherville, that bike – and hundreds of others – becomes a shining spot in childhood for a poor child in Baltimore. Volunteers from the council collect unwanted bikes, repair and refurbish them, and then donate them to churches in the inner city. Council member William “Bill” Santo recalls one woman who was staying at a crisis center in Dundalk and walking to work; the Knights gave her a bike so that she could reach her job more easily. The fraternal group started collecting unwanted bikes nearly three years ago, gathering them from Immaculate Conception, Towson; St. Joseph, Cockeysville; and the Catholic Community of St. Francis Xavier, Hunt Valley. 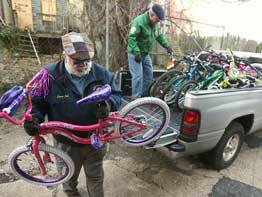 At first they collected just a couple of bikes, but then “the word got around,” Mr. Santo said. The local county police precincts had been throwing out recovered bikes that weren’t claimed after 90 days, and they started donating them to the council. But as the bikes rolled in, so did a need for parts. The Knights met with Randy Hall, who owns The Bicycle Connection in Cockeysville, who offered to supply them with parts. Not to mention inner tubes, tires and handle grips – and employees at the Bicycle Connection have taught the volunteers to fix complicated mechanisms on newer bikes. 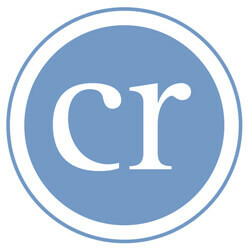 “We have literally hundreds, maybe thousands of dollars worth of parts that we never paid a dollar for,” Mr. Santo said. Occasionally the group gets a rare or antique bike, which they refurbish and give to the Bicycle Connection. “He says, ‘I’ll put it on your account,’ but our account never runs out,” Mr. Santo said. The Knights of Columbus bought a Dutch barn to house the bike repair efforts, and other councils began collecting bikes for them. Occasionally, volunteers arrive to find a bike leaning against the barn. The fraternal group has given more than 500 bikes of all sizes to inner city children, delivered a pickup truck load at a time. Bikes have gone to St. Bernardine, Baltimore; St. Gregory the Great, Baltimore; Head Start programs; and Our Daily Bread, as well as churches of other faiths. Recently, the Knights were out of bikes, but Mr. Hall called them because he had purchased an entire lot of bikes from a Wal-Mart that was relocating. “He gave us 23 bikes that were practically brand-new but had minor problems, like flat tires or the chain had slipped off or they’d been returned,” Mr. Santo said.